Computer artwork of the eight planets of the solar system, which are arrayed from left to right in order of distance from the Sun (left). 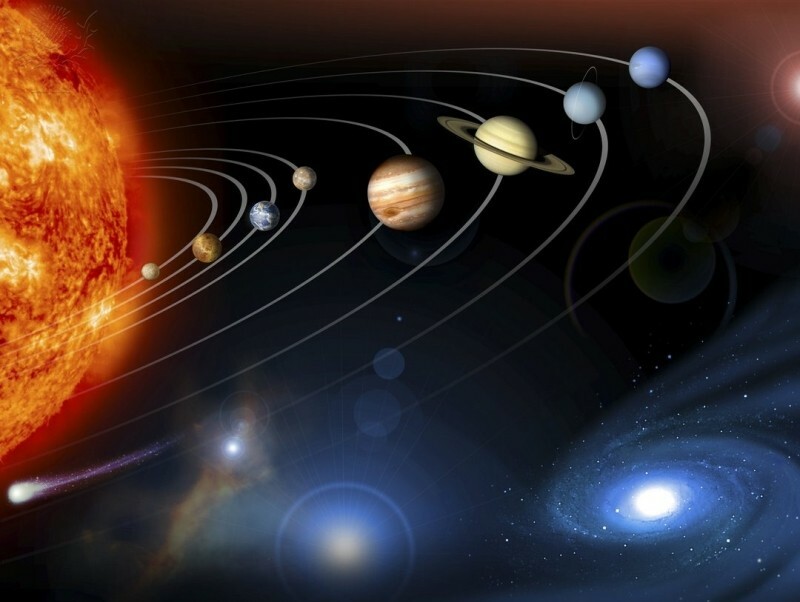 The four small rocky planets of the inner solar system are Mercury, Venus, Earth and Mars. The four large gas giant planets of the outer solar system are Jupiter, Saturn, Uranus and Neptune. Pluto was re-categorised as a Dwarf planet in 2006, so it is not included here. At lower right is a galaxy, and a small celestial body (an asteroid or comet) is seen at lower left. Internal structure of Mercury, cutaway artwork. The inset box at lower right shows Earth and Mercury at the same scale. 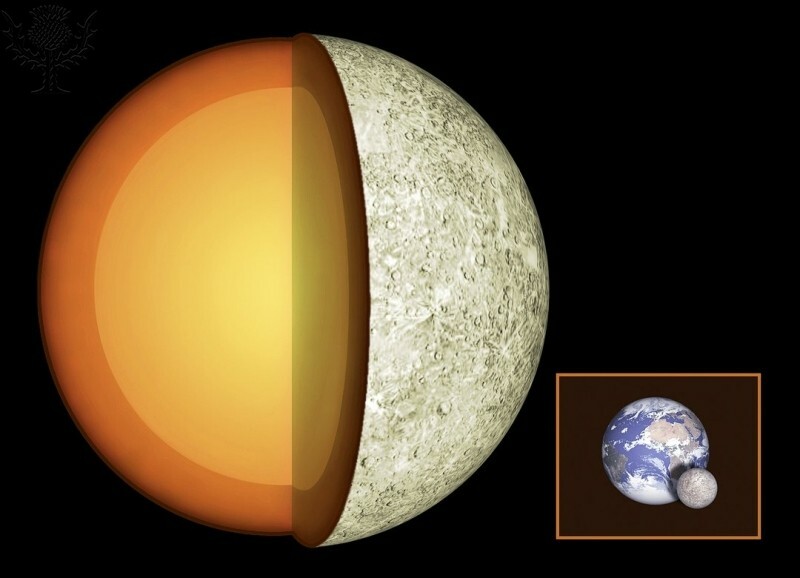 Structure Of Mercury. Photography. Encyclopædia Britannica Image Quest. Web. 23 Jan 2013. Although Venus is almost a twin of Earth in size, the atmosphere on Venus is almost pure carbon dioxide, with surface temperatures averaging 465 Celsius - hot enough to melt lead. Venus. Photography. Encyclopædia Britannica Image Quest. Web. 23 Jan 2013. 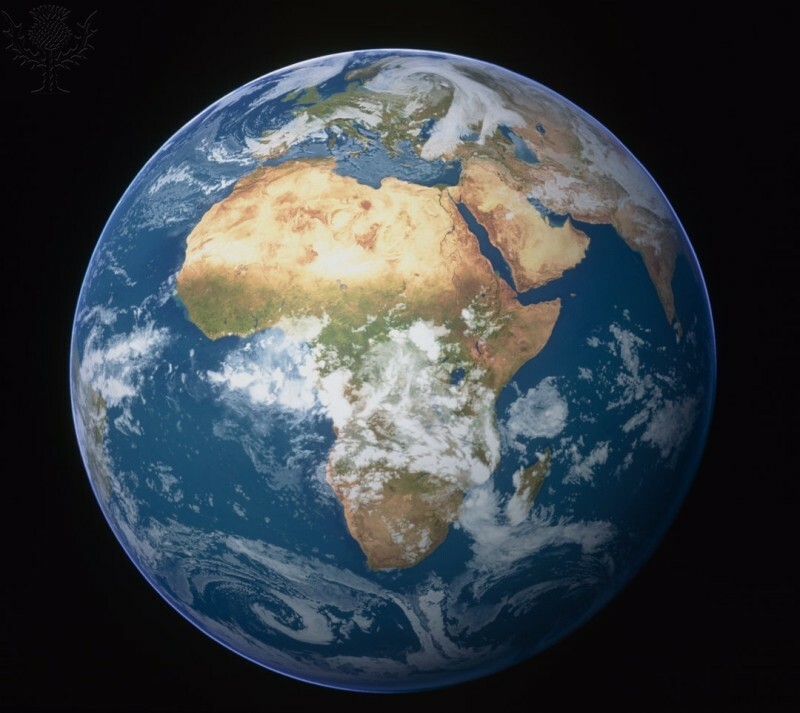 Satellite image of the Earth, centered on Africa. Water is blue, vegetation is green, dry areas such as deserts are brown and clouds are white. Earth. Photography. Encyclopædia Britannica Image Quest. Web. 23 Jan 2013. 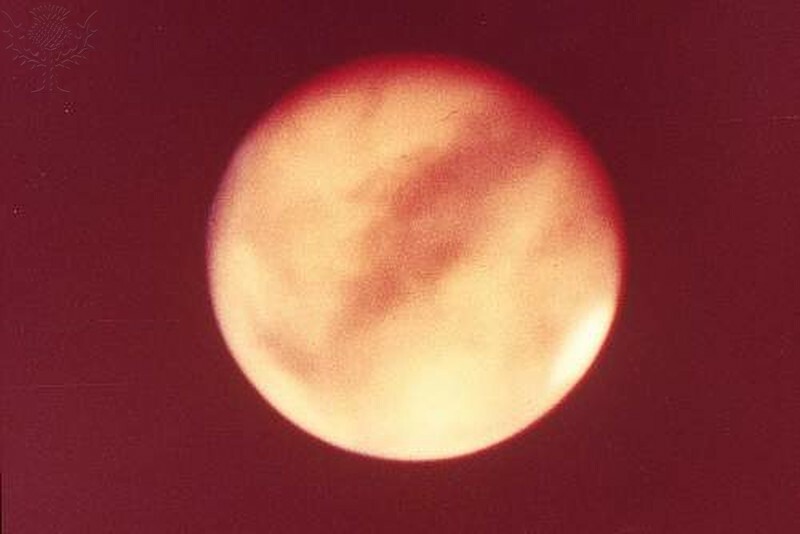 Mars, often called the "Red Planet," is the fourth planet from the sun. Mars. Photograph. Encyclopædia Britannica Image Quest. Web. 23 Jan 2013. 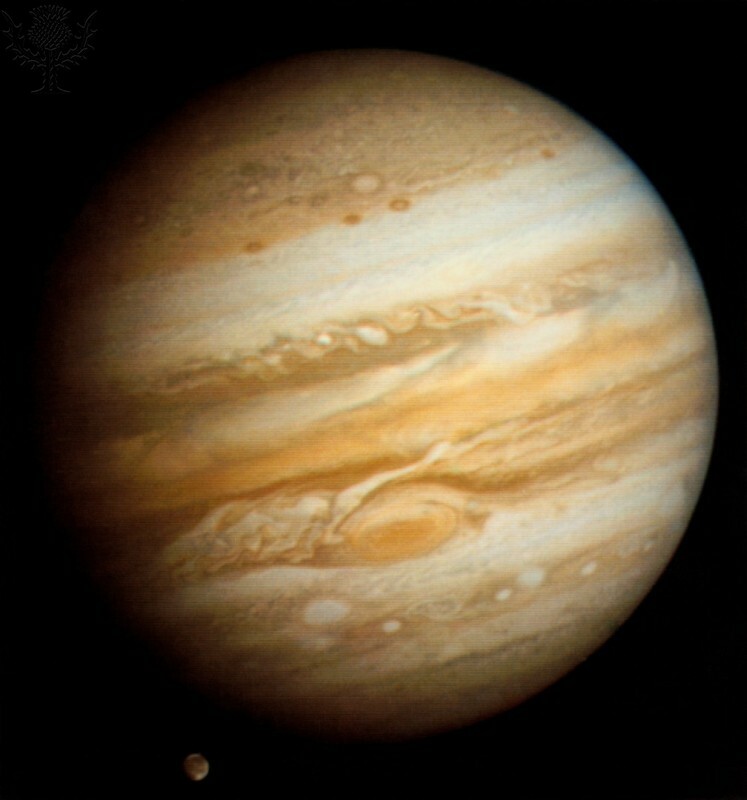 Picture of Jupiter taken from Voyager 1 at a distance of 25milion miles showing Ganymede(moon of Jupiter). Jupiter. Photography. Encyclopædia Britannica Image Quest. Web. 23 Jan 2013. 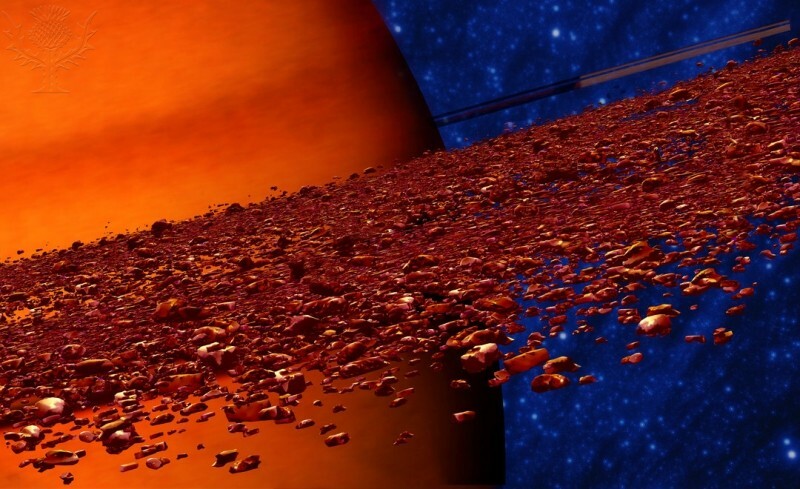 Computer artwork of the rings of Saturn around the planet (red). Saturn, the sixth planet from the Sun, is surrounded by a set of rings made up of small chunks of ice and dust. Saturn is a gas giant planet with no true surface. It lies around 1500 million kilometres from the Sun. Saturn's Rings. Photography. Encyclopædia Britannica Image Quest. Web. 23 Jan 2013. 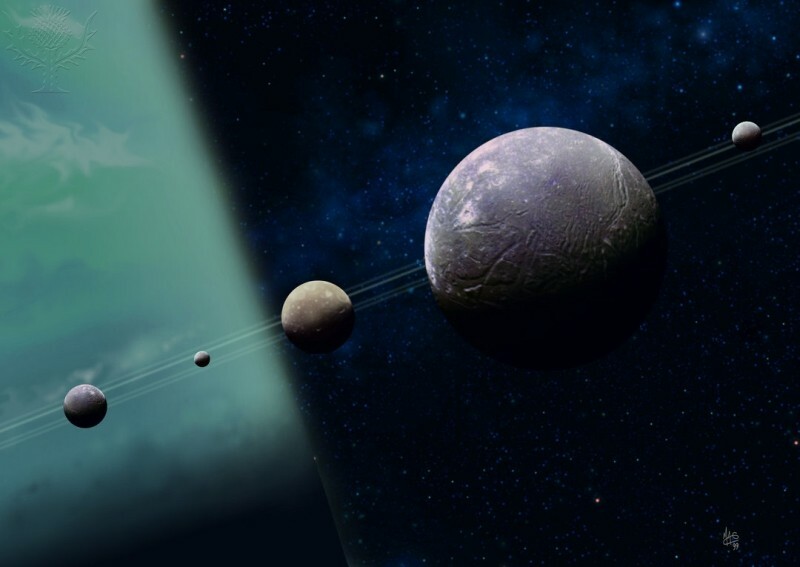 Computer illustration of the planet Uranus and its five largest moons (shown to scale). From left to right, the moons are Umbriel, Miranda, Oberon, Titania and Ariel. Uranus' thin rings are also seen in the line of the moons. 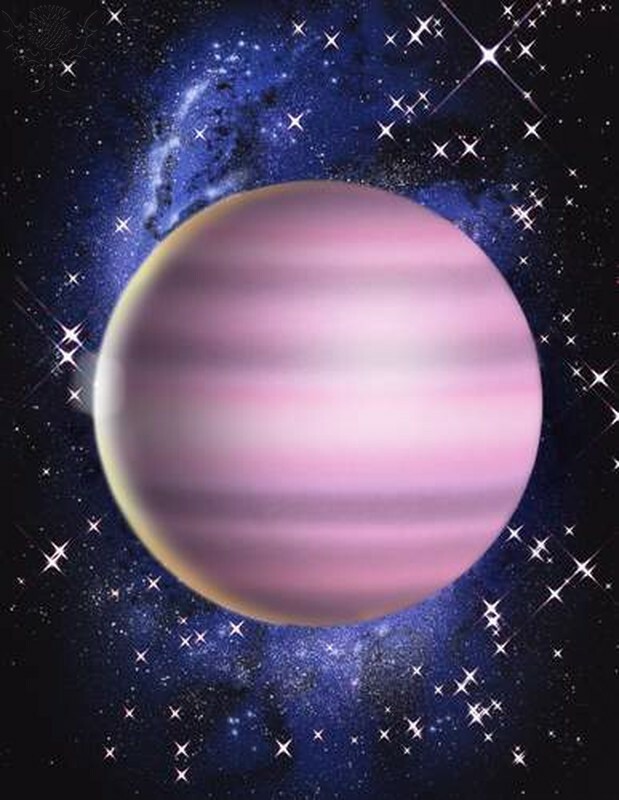 Uranus is a gas giant planet whose orbit takes 84 years to complete one revolution around the sun. 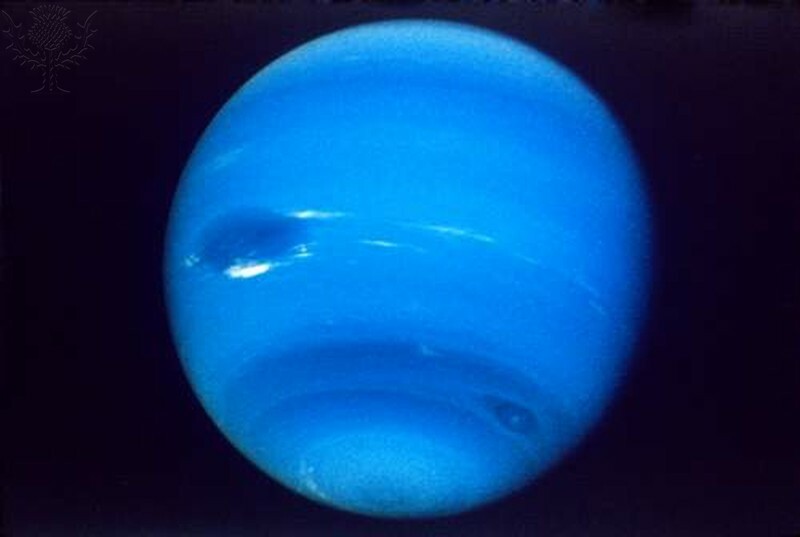 Neptune is the fourth largest planet in the solar system and is 4.5 billion kilometers from the sun. It takes 164 years for it to rotate around the sun and its days are 16 hours long. Neptune. Photography. Encyclopædia Britannica Image Quest. Web. 23 Jan 2013. Computer artwork of the dwarf planet Pluto - Pluto was demoted to the status of dwarf planet in August 2006. A dwarf planet is defined as an object large enough to be spherical due to its gravity, and with an independent orbit around the sun (ie. not a satellite of a planet). A true planet has to dominate its orbit around the Sun. Pluto fails because it is one of many Kuiper Belt objects in the outer solar system. 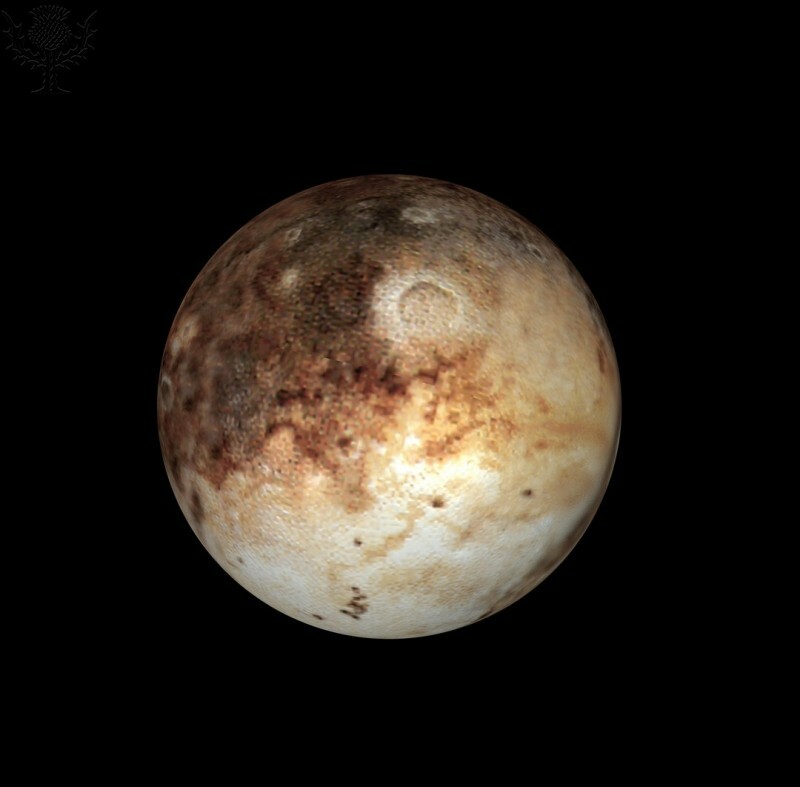 Pluto is composed of rock and ice and has many craters on its surface. Pluto. Photography. Encyclopædia Britannica Image Quest. Web. 23 Jan 2013.